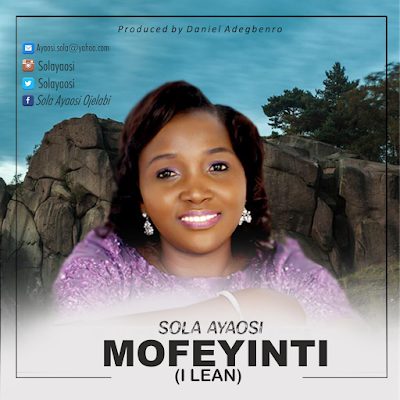 Sola Ayaosi is a chorister at RCCG, a worshiper, vocalist, songwriter, gospel artist, a business woman, an ex-banker (voluntarily & satisfyingly). She will be releasing her debut album titled "MOFEYINTI" officially by November ending 2016. Mofeyinti is a Yoruba word (African) that means "I Lean" in English. It’s a song that accentuate the reliability, the capability, the authenticity, the dependability, the consistency, the dependability and the companion ability of God when you lean on him (the rock of ages) in any or all situation. The album comprises six (6) tracks of different genres.